Colony M-5 is a game that simulates the colonisation of Mars. In the game the player acts as the manager for the colonists and has to guide them in making Mars a place for humans to live. 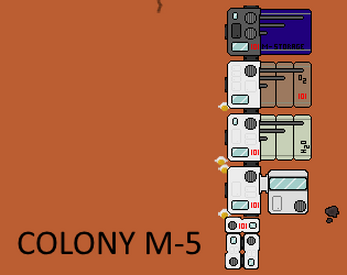 To do this the player has to make the decisions and construct buildings and make the Mars community grow.